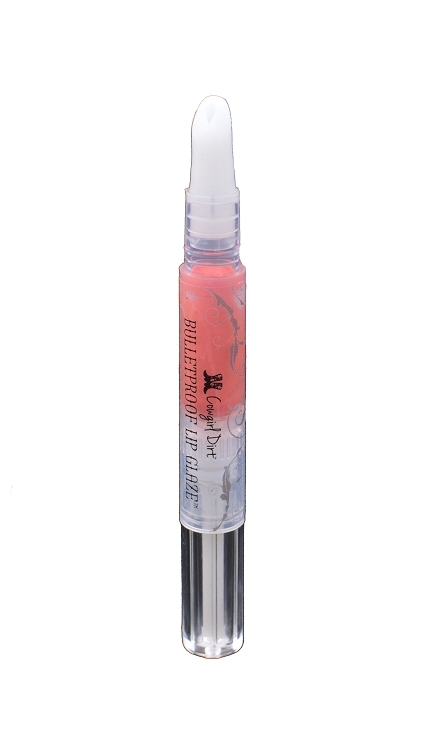 Outfit your lips with the impenetrable Bulletproof Lip Glaze™. With the deep rich pigment of a lipstick and the glossy look and feel of a lip gloss, Bulletproof Lip Glaze™ is the perfect combo for dependable long-lasting color and shine. Looking for even greater color intensity? 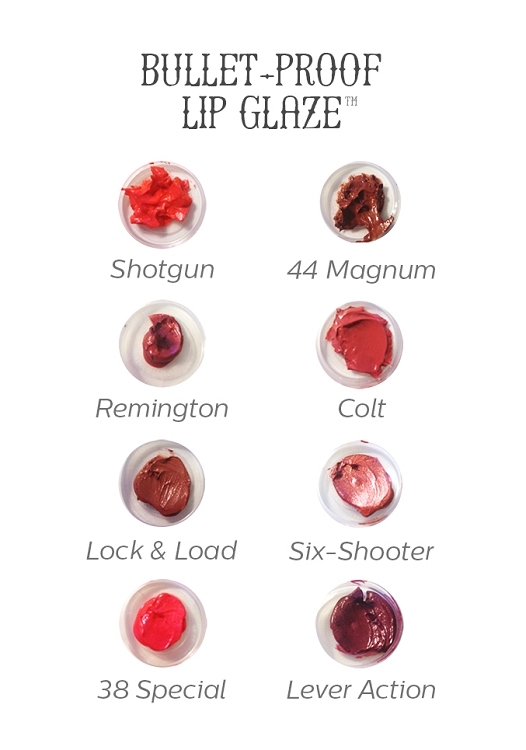 Wear Bullet Proof Lip Glaze™ over your favorite Yeehaw Lipstick™ shade. 2ml twist container. Over the years I've developed some allergic reaction to lipsticks and lip balms. I hesitantly tried this lip glaze and am so happy that I have had NO reaction to It! The color and texture are great. The lip glazes are great. Just what I was looking for, a great combination of a lipstick and lip gloss. Creamier like lipstick but not sticky like some lip glosses. The color lasts longer than the lip gloss but not as long as a lip stick. I ordered Six Shooter, 44 Magnum, Lock & Load, and Remindton color samples. Remington was too burgandy. 44 Magnum was a nice brownish red, but too red for me my 2nd favorite. Six Shooter was too pink for me. Lock & Load was my favorite. It appears dark but the color once on is very natural looking almost like a tinted lip gloss. I should clear the air. I hate lipstick. But I long to love it. I WISH I could get away with a bold lip, but I end up looking like a clown. I ordered Colt and am very pleased with the subtle color and non sticky gloss. I'm not a big lipstick person so this lip gloss is perfect for me. It has a nice color and doesnt dry out your lips. The twist up stick is easy to use and it comes in a cute little burlap bag. 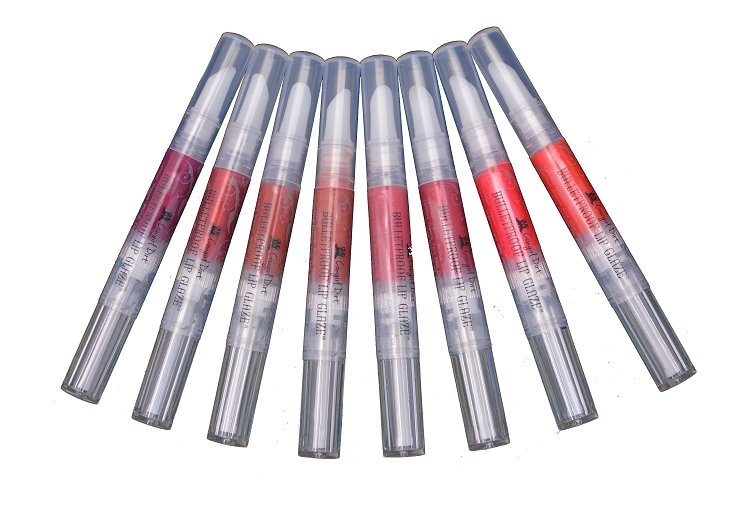 This product is great for an everyday go to lip color! Literally every time I apply this to my lips I catch myself thinking, "Man, I love this stuff!" It's SO silky smooth and beautiful color. Lock and Load is a very pretty pastel pink. Makes my lips feel amazing and look pretty! I love these lip glazes. The color goes on like a lip stick and they feel rich and highly moisturized. I gave them four stars instead of five because the color doesn't last as long as I would like. I wish I could give it four and a half stars though because even though the color fades the moisturizing effect is incredible and continues long after the color is gone. So far out of the Bulletproof collection I've tried Colt, Remington, 38 Special and Lever Action. I have blue eyes and a fair complexion with olive tones, and my favorite gloss by far is Colt. (It is recommended for warm tones, so go figure!) I don't often wear dark lip colors, so Colt is my go-to for most outfits. It is a lovely berry color. Remington was a bit too dark for me with undertones of brown. Lever Action was also too dark for me with undertones of purple. I think either would look very pretty on someone with a different skin tone, though. 38 Special is kind of a hot pink/fuschia on me, but it is a good color and fun for special occasions. All of these feel very good going on, smell good, keep my lips hydrated and I really love them. My only criticism is that they do not last very long with regular use, as a 2 ml tube is not very much gloss. I'm returning this product. It's impossible to get the lip color OUT of the container. A good product should be user friendly. I'm a huge fan of this Bulletproof Lip Glaze. It stays on for hours and is easy to apply. I ordered the Remington color and it suits me well.